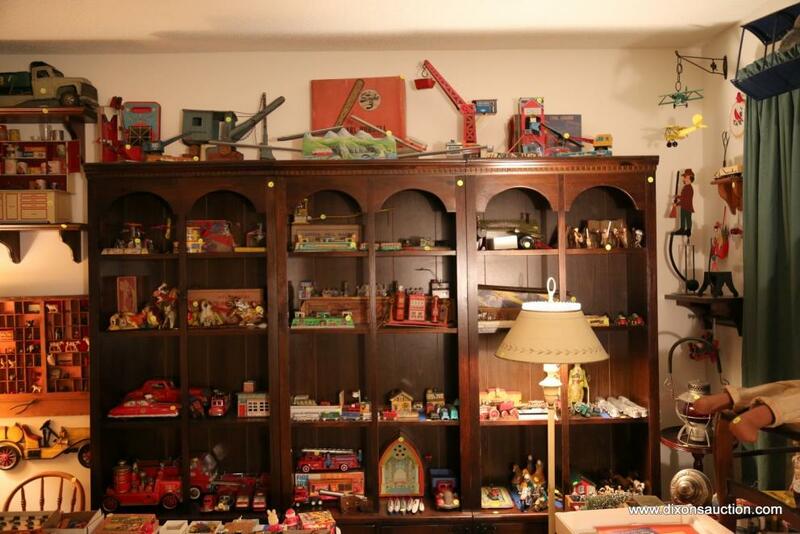 12/13/2018 Online Vintage Toys & Collectibles Auction. 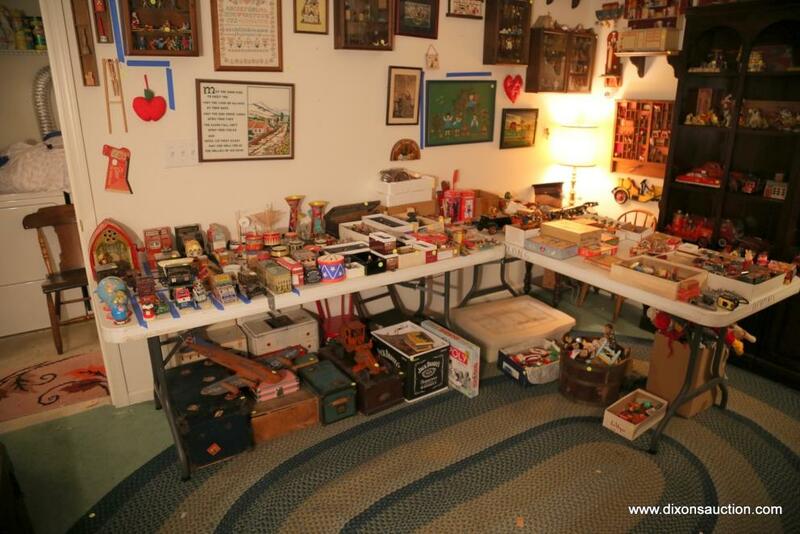 An Online Vintage Toys & Collectibles Auction, Part 4, Closing 12/13/2018. All these items are a part of a (4) part auction taking place between Monday 12/10/2018 & Thursday 12/13/2018. These items are located at 103 Bridge Crossing, Yorktown VA. 23692. Preview will not be available for these auctions, please rely on our descriptions & photos. We also have a preview video available on our website. This auction will begin to close on Thursday 12/13/2018 @ 7PM Eastern, Closing 4 lots per minute. After the auction(s) close you must pick up your purchased item(s) on Sunday Dec. 16th, 2018 between 11AM & 5PM. This is the only time available for pickup. You must bring help to load any heavy furniture & you must bring your own packing supplies for items. Delivery is available within 150 miles, please call 804-598-5099 for quotes. 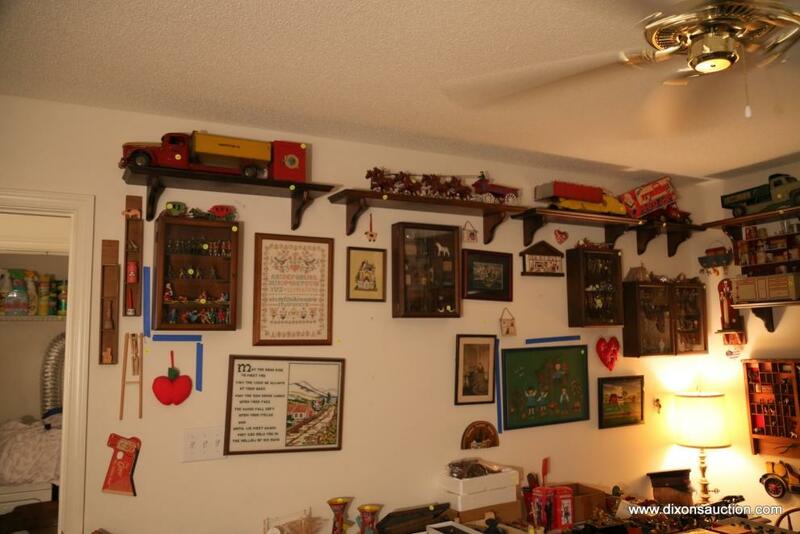 This auction will consist of lots 958-1321 with items like: Antique Strutco Dump Truck, Crippin Machine Toy Company Magic Tin Safe, Cast Iron Replica of Horse Drawn Wagon, Antique Marx Dump Truck, Marx Willy’s Jeep Truck, Buddy L Dump Truck, Vintage Tin Child’s Cupboard, Printer’s Tray, Antique Hand Painted World War I Metal Miniature Figurines, Antique Hand Painted Metal Miniature Cowboy Figurines, Other Hand Painted Metal Miniature Figurines, J. Chein Co. Tin Wind Up Musical Cathedral Shaped Toy, J. Chein Co. Tin Monkey Bank, Vintage Cast Iron Hand Painted Banks, Tin Toy Cash Registers, Marx Tin Windup Toys, Wooden Boat Models, Vintage Tin Drum Banks, Busy Mike Sand Tin Toy, J. Chein See Saw Tin Toy, Royal Wedding Figurines, Miniature Metal Cars, Vintage Childs Trunks, Marx Metal Power Grader Tractor, Antique Children’s Books, Windup Tin Duck Toys, Miniature Metal Battleships, Antique Toy Puzzle Blocks, Antique Structo Toys Steam Shovel, Tin Carousel, Marx Wind Up Honey Moon Cottage Train Toy, Marx Pluto Windup Toy, Marx Tin Windup Cars, Model Firetrucks, Carl Hubbard Strike 3 Game, Wolverine Co. Tin Mechanical Crane, Arnold Co. Tin Coal Mining Operation Toy, Marx Soldiers of Fortune Metal Figurines, Danbury Mint Classic Car Models, West Bros Miniature Tin Buildings, Antique Red Wagon, More Collectible Tin Toys, Wall Hanging Decorations, Antiques, Collectibles & Much More!